“Here comes Saturday! Here comes Saturday!” Before the big man in the red suit comes around, there’s a BIG day that should be marked on your calendars. 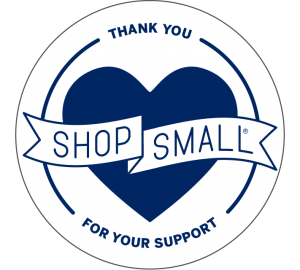 Small Business Saturday is November 25, 2017. Quite frankly, if we at SpeedPro Imaging, the nation’s leading printing and graphics franchise serving small business owners, had our druthers, every day would be Small Business Saturday. Let’s hear it for America’s small businesses. And there are many we celebrate. In 2010, the Small Business Administration determined there were nearly 28 million small businesses nationwide. On the retail side, the SBA in 2013 found there were more than 2.5 million small businesses in the retail trade sector. Small businesses are the backbone of America’s society. Our small business owners are job creators. 99% of all retail businesses employ fewer than 50 people. And that’s why we should reward our neighbors, friends and members of our community on Small Business Saturday. Our patronage to their establishments keeps businesses open, friends employed, and the community thriving. The emphasis on Small Business Saturday is a recent commercial phenomenon. American Express is credited with creating the day in 2010 to celebrate and support small businesses across the country. This holiday is important to us at SpeedPro Imaging because we are a network of small business owners who help other small businesses thrive. Your local SpeedPro Imaging studio is run by hometown folks who employ your family, friends and neighbors. People are at the core of our beloved small businesses. That’s the case at SpeedPro Imaging. We know that’s the case at your establishment. We’re thankful for you. It was a bold, but calculated, risk to step out on your own and become self-employed. The anxiety, the frustration, the apprehension. It was all worth it because you stepped out and believed in yourself. You are building a legacy, and creating jobs. SpeedPro Imaging is grateful for the hard-working, dedicated employees who keep the small businesses operational. You serve us fantastic meals at the restaurant on Main Street. You’re the driving force behind magnificent service at the boutique bed and breakfast. When our carburetor is on the fritz, it’s the mechanics around the corner who get us back on the road as quickly as possible. Many small business workers, particularly in retail shops, are pulling late hours this week leading up to the Thanksgiving holiday. Those same employees will also be up and at it early on the morning of Black Friday with bright and shining faces to help kickoff the holiday shopping season. Window Graphics: Does your store feature unused windows? Let us help you transform those windows into a winter wonderland! We professionally print window graphics in crisp colors on perforated film to capitalize on plate glass windows. Indoor & Outdoor Signage: The benefits of indoor/outdoor graphic materials are simply marvelous. They can be easily changed seasonally, providing you opportunities to cash in on holidays year-round. Our outdoor signage is the definition of durability, and can withstand all the elements. Wall Murals: Wall murals are the perfect way to show off a product or service to the people who visit your business. They can easily be refreshed when the new products roll in. Floor graphics: Command attention from the ground up, and wow the crowd with show stopping floor graphics. The floor graphics we provide are designed for durability from a few days to six months or more. Flags: Branded feather flags draw eyes to your establishment with a cool flair. They are adaptable, and can be printed with images that shift with the changing wind. We’re ready to help make your Small Business Saturday, and every day of the week, a HUGE success. We have the ideas and printing solutions to make this a prosperous collaboration. You can check out our options when you visit speedpro.com, send an email or call us at (844) 274-4784.